Get the adrenaline pumping at Lampuuk Beach, a white sandy beach known for surfing and kitesurfing. The soft sand and clear water provide ample sunbathing and swimming opportunities, all against a backdrop of lush mountains in the distance. Prepare for sparse facilities, save a couple changing stalls towards the back of the beach. Local vendors have kiosks set up selling fresh coconut water and grilled fish. The beach is otherwise quiet, giving you plenty of space to yourself. 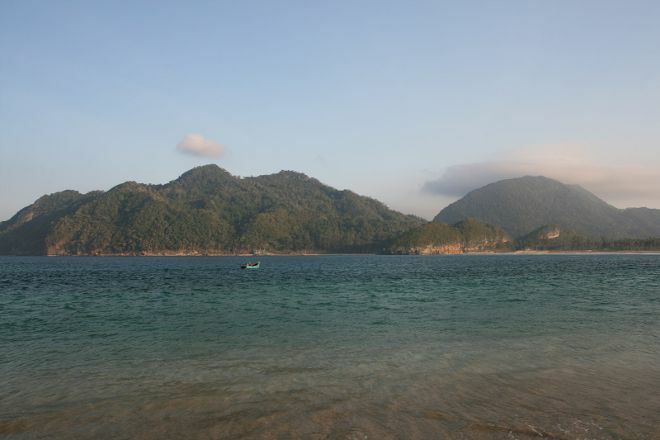 Using our custom trip planner, Banda Aceh attractions like Lampuuk Beach can form part of a personalized travel itinerary. One of the best beach recreation area in Aceh besar, only took a 20-minute journey from the city of Banda Aceh. Lots of options and a great photo spot. Any lumatan food choices as well as entrance fees are classified as very cheap. Anyway top lah. Nice to see but not to swim. Every day, we help thousands of travelers plan great vacations. Here are some tips on how to use your Listing Page to attract more travelers to your business - Lampuuk Beach. Promote your permanent link - https://www.inspirock.com/indonesia/banda-aceh/lampuuk-beach-a1168274033 - on your website, your blog, and social media. When a traveler builds a plan from this page, the itinerary automatically includes Lampuuk Beach. This is a great way for travelers looking for a great vacation in your city or country to also experience Lampuuk Beach. Promoting your link also lets your audience know that you are featured on a rapidly growing travel site. In addition, the more this page is used, the more we will promote Lampuuk Beach to other Inspirock users. For best results, use the customized Trip Planning Widget for Lampuuk Beach on your website. It has all the advantages mentioned above, plus users to your site can conveniently access it directly on your site. Visitors to your site will appreciate you offering them help with planning their vacation. Setting this up takes just a few minutes - Click here for instructions.